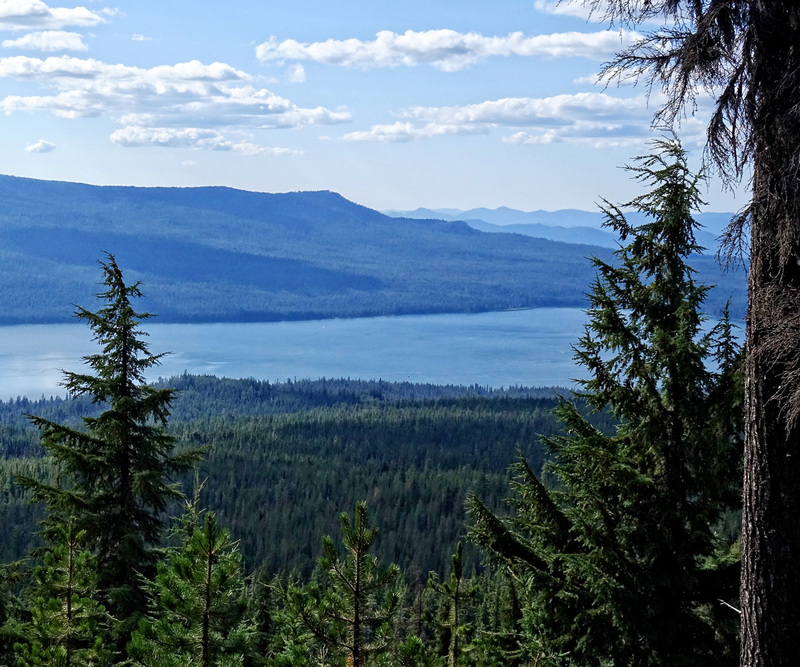 Conveniently for Oregon’s PCT hikers, there are numerous opportunities to rest and resupply along the way. Many resorts offer package hold services for hikers, as well as other amenities, including showers, laundry, camping and hiker donation boxes. Some establishment also have stores and/or restaurants, which can help you supplement your resupply, or enjoy a break from trail food. The following resorts (listed south to north) are all less than 2 miles from the PCT. Hiker-friendly resort with lots of amenities, including good food and on-site camping. Callahan’s Lodge offers comfortable lodge rooms with hot tubs, a restaurant with live music and a full bar. This resort is very hiker-friendly and offers a variety of services to passing PCTers, including camping, showers, laundry, resupply holds and their famous bottomless spaghetti dinner! Callahan’s tiny giftshop stocks a small selection of snacks and beverages, but is not ideal for purchasing a substantial resupply. Small resort with good food, moderately-priced lodging and resupply services. 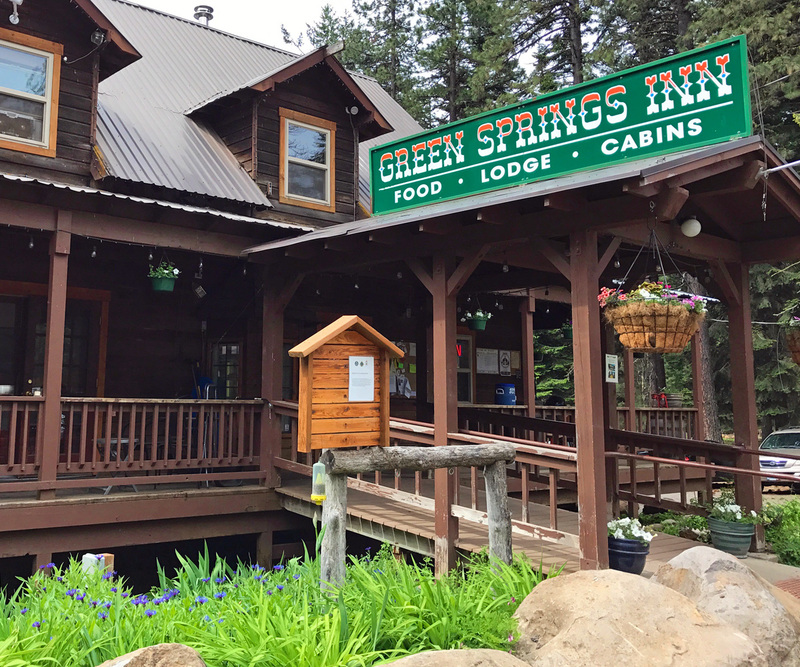 Green Springs Inn is a small roadside resort that offers comfortable lodge rooms, private cabins and a pleasant dining room that serves up hearty breakfasts, tasty burgers and upscale dinners. They’re a good—and friendly—resupply location as an alternative to Hyatt Lake. The resort cafe stocks a small selection of beverages and sundries, but not enough to purchase a meaningful resupply. Lakeside resort a short distance off the PCT good for resupply pickups and pizza. Camper’s Cove, on Hyatt Prairie Road, is northwest of the PCT. The resort offers well-appointed (albeit a bit spendy) cabins, as well as a small cafe that serves up pizzas, burgers and hearty breakfasts. Lake access is nearby. This resort’s claim to fame is having “The smallest store on the PCT.” You’ll find a few canned goods, snacks, candy bars and beverages, but don’t expect to purchase a worthwhile resupply here. A great layover and resupply spot with good food, camping and a well-stocked store. 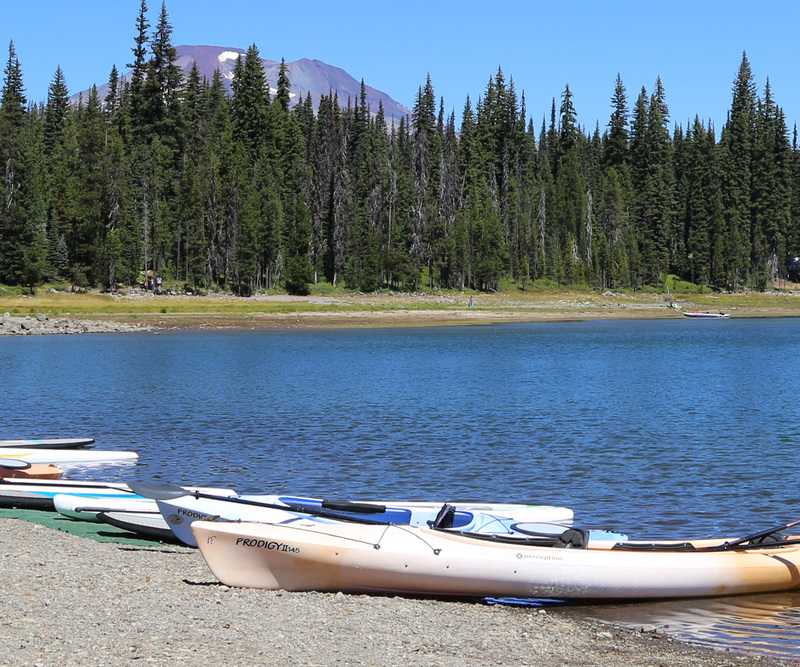 A popular RV camping destination, Fish Lake Resort is one of the better locations for overnight accommodations, dining and resupplying near the PCT. In addition to the RV campground, they have rustic cabins and tent campsites. There is also a free PCT hikers’ campsite on the east side of the lake. The Tadpole Cafe serves up a good selection of breakfasts, sandwiches, burgers, milkshakes and nightly dinner specials, which can be enjoyed in the dining room or on the shaded deck overlooking the lake. 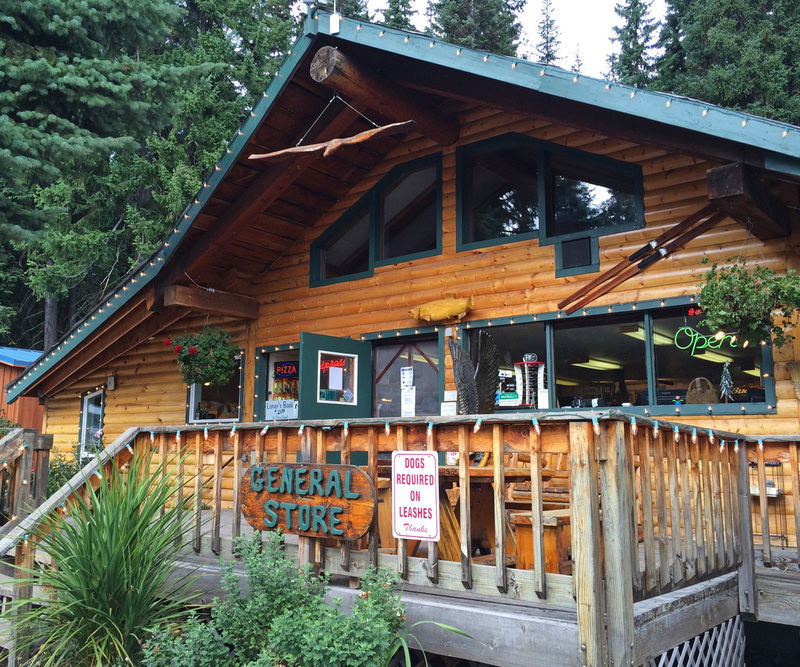 Fish Lake’s large store carries a variety of camp and trail foods, snacks, candy, beverages, sundries and stove fuel. They also carry a limited supply of maps and guidebooks. Large park facility with lots of hiker amenities, including camping and a store. 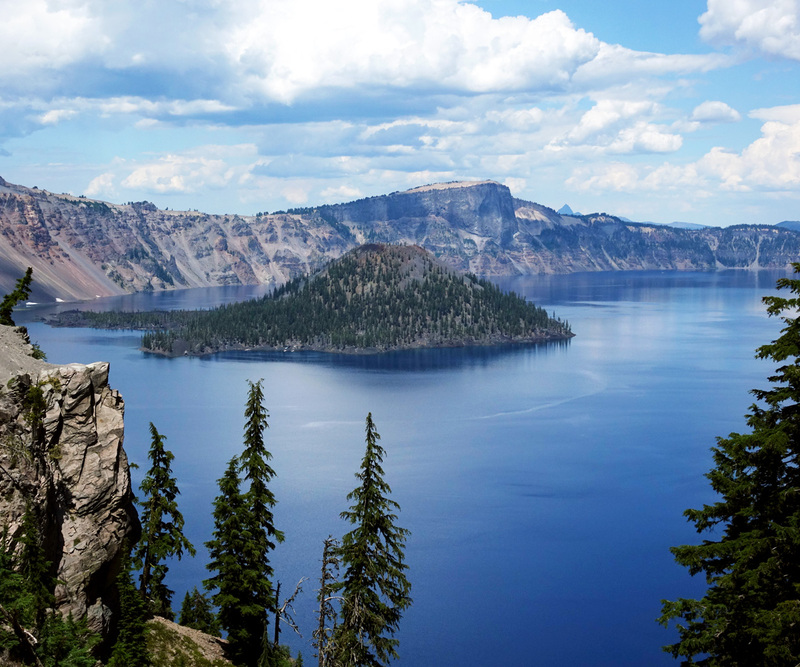 This busy resort in Crater Lake National Park offers a large campground, including a small backpacker’s camp area ($5/night), in addition to rentable cabins. Annie Creek Restaurant serves a variety of decently-priced meals, including tasty pizzas and satisfying breakfasts. They also have shower and laundry facilities, and a large store. The well-stocked village store stocks plenty of camping and hiking foods and supplies, cold drinks, ice cream, maps and souvenirs. Park facility with small cafe, store and historic lodge; backcountry permits here. This crowded tourist destination in Crater Lake National Park is the location of the historic Crater Lake Lodge, which offers upscale accommodations and dining options. The Rim Village Cafe, attached to the gift shop, offers a limited selection of premade sandwiches, drinks and snacks. Nearby, the tiny visitor center (where you can pick up wilderness camping permits) sells guidebooks and maps. Resupply services are not available at Rim Village. Large resort with lodges, restaurants and a post office for sending resupply packages. 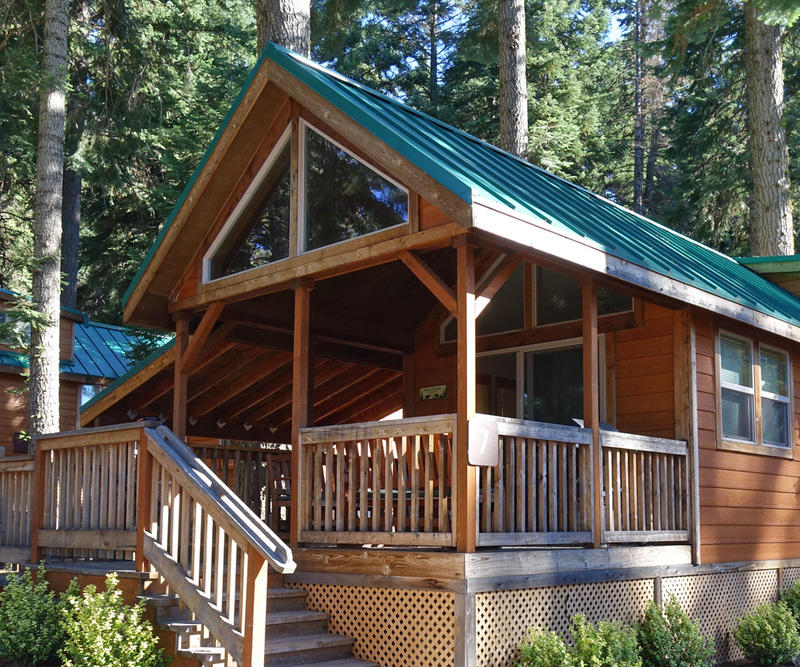 Northwest of Crater Lake National Park, Diamond Lake Resort has a motel, cabins and small studio units. There are also several large Forest Service campgrounds nearby. The resort features three restaurants, Diamond Lake Cafe, Mt. Bailey Grill & Sports Lounge and South Shore Pizza, each offering a variety of meal and beverage selections. There is also a small store and a post office. The resort’s small store stocks a selection of camping foods, snacks, treats, beverages and some supplies. Pickup hours: 8am to 4:30 pm Mon–Fri; 8am to 12:30pm Sat. Popular resupply stop with a good store and nearby Forest Service campground. 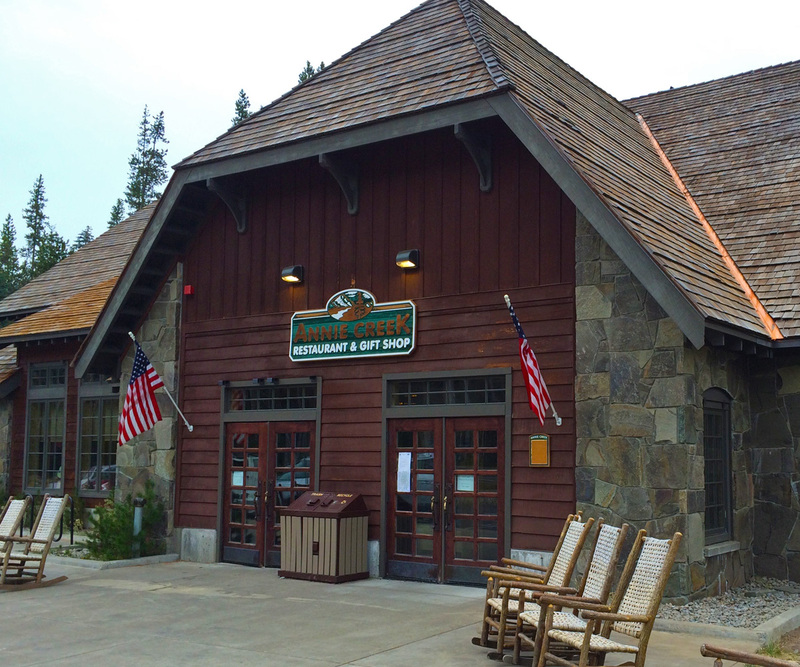 The Shelter Cove Resort on Odell Lake is home to The General Store, one of the best resupply outlets along the PCT in Oregon. This establishment also offers rustic cabins, a large four-unit lodge, showers and a laundry room. Camping can be found at the nearby Trapper Creek Campground. There aren’t any dining options here, but they do offer hot dogs and microwave pizzas. The Shelter Cove store carries a good selection of camp and hiking foods, snacks, candy and beverages. A hiker donation box can usually be found on the deck outside the store. Popular summer resort with good food, cabins, camping and water sports. 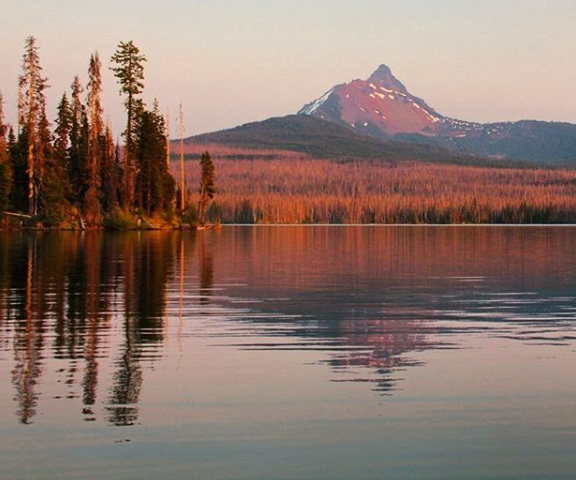 Just south of the Three Sisters, Elk Lake Resort offers a campground, rustic camping cabins and vintage log cabins. Near the lakeshore, the resort restaurant serves up hearty breakfasts and tasty burgers and sandwiches, as well as a variety of sodas, local brews and cocktails; they also have ice cream and a coffee bar. You can enjoy your refreshments indoors or out on their large deck. You can also rent kayaks and SUPs. The resort has shower facilities, but no laundry service. If section-hiking Section 4 in Hiking the PCT: Oregon, this is the halfway point, and a good option for splitting the section in half. Elk Lake’s tiny store stocks only a limited selection of snacks and beverages. Private camp with limited services for PCT section- and thru-hikers. Big Lake Youth Camp, near Santiam Pass, is primarily used as a resupply point for PCT section- and thru-hikers. The camp offers limited meals, showers and laundry facilities (donations suggested for each). Public camping can be found on the north side of the lake. NOTE: Big Lake has a new address for shipping resupply packages. See Resupply Info tab. 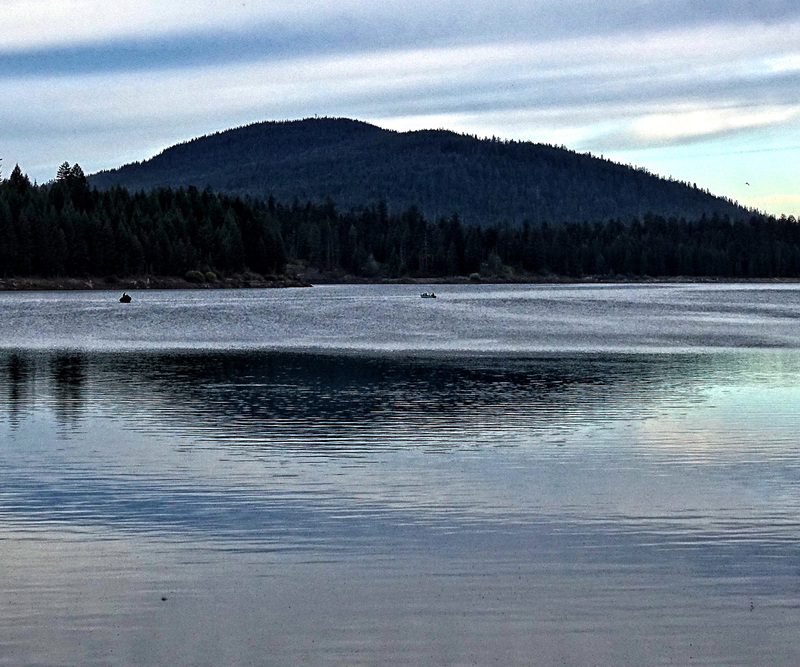 Hikers can also hitchhike or arrange a ride from Santiam Pass into the town of Sisters, 20 miles east. Sisters offers dining, lodging, groceries, a gear shop and post office. The camp store only stocks a small selection of snacks and beverages, so this location is not suitable for purchasing a resupply. Small lakefront resort with affordable cabins, nearby camping and a decent store. 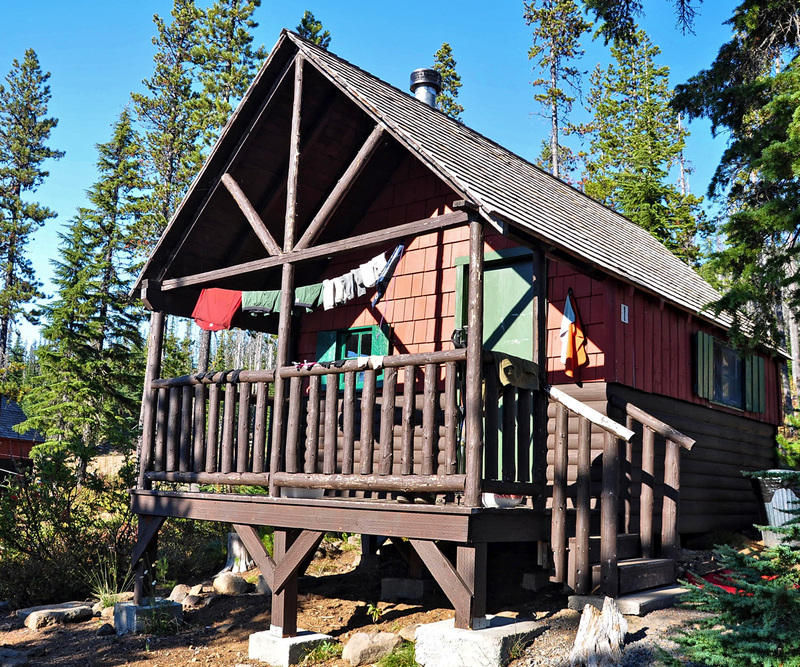 This small summer resort is just off the PCT and offers rustic cabins and two yurts at very modest prices. They also have a pretty decent store and host the nearby Paul Dennis Campground. The moderate store here stocks a decent selection of camping foods, snacks, candy and beverages—enough to put together a few days’ menu if needed. They also stock a small selection of sundries, trail supplies and stove fuel. (Call ahead for varieties.) Due to its remote location, this resort does not accept or hold resupply packages. Historic mountain lodge with upscale dining and accommodations. 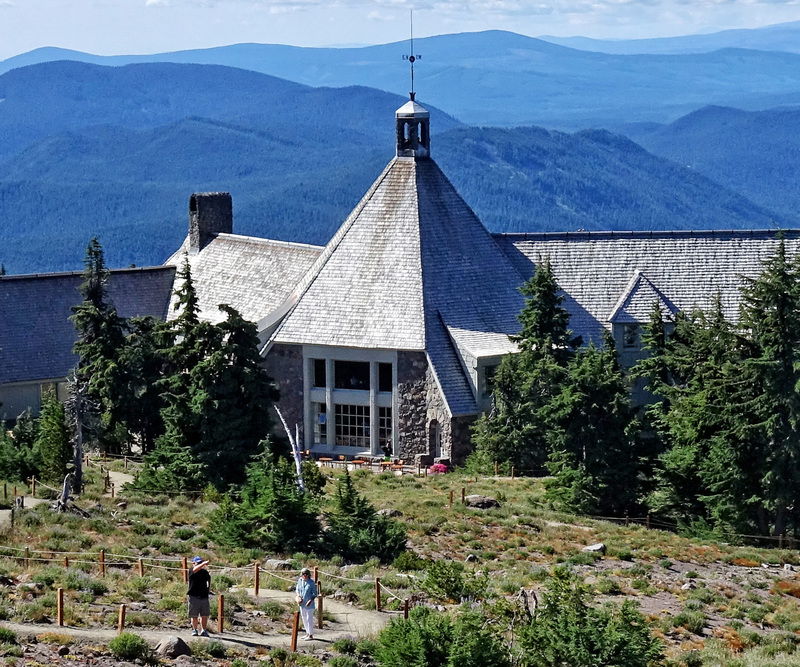 The crown jewel of Mount Hood, the historic Timberline Lodge offers luxury accommodations in a rustic and relaxed style. 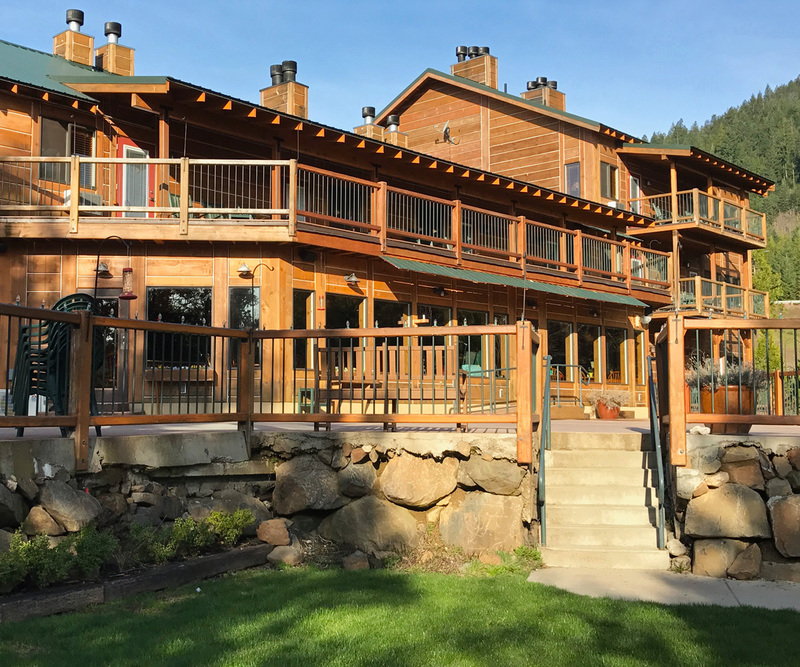 There are three restaurants in the lodge, including the Ram’s Head Bar and Blue Ox Bar, that serve moderate and upscale dining selection; the breakfast buffet in the Cascade Dining Room is a PCT hikers’ favorite. The small store at Timberline only sells gifts and souvenirs, so plan on mailing everything you might need. The Wy’East Store, across the parking area from the lodge, will hold resupply packages. PLEASE NOTE: In recent years, many resorts and small towns have closed their doors to PCT hikers. This is due to unruly hikers stealing, damaging property, leaving trash and intimidating guests. Please be courteous to establishment staff and patrons, tip when appropriate, dispose of trash properly, and take care to leave a good impression. This will help ensure that establishments will continue to welcome PCT hikers.